With the concept of cloud-based computing becoming more acceptable, consumers, including attorneys, have started to embrace the cloud. In February of this year, Microsoft launched a subscription-based version of their most famous (or infamous) product, Microsoft Office. Their product is called Microsoft Office 365. This product is a direct competitor to Google Apps for Business which has been embraced by many firms as a low-cost alternative to an expensive on-site Exchange email server. Office 365 is a monthly subscription to the most up-to-date Microsoft Office products as well as Hosted Exchange email. But, Microsoft didn’t just stop at email. They included additional options for web and desktop access to their most popular Microsoft Office products. This is very appealing to firms with out of date software as well as start-ups who do not want to make a big investment in software. On the lower end, with the subscription of $5/user/month, you have access to a hosted email system using your own domain name like pturner@legalcloudtechnology.com rather than pturner@outlook.com. You also have the ability to host a website as well as use their web conferencing and document sharing features. At the $12.50/month level , you have access to the latest and greatest Microsoft Office 2013 wherever you go online, and you can also install the software on five external devices. This includes laptops, desktops, and any other device that you wish to have a local copy of the software. If your firm needs integration with a local Windows server, just move to the $15/user/month level for up to 300 users. On the higher end, the $20/user/month subscription has an interesting advantage. It gives your firm the ability to have archiving, legal hold capabilities, as well as tools for e-discovery. It will depend on how important this type of information is for your firm whether or not it would be worth the extra $5/user/month. Did I mention the ability to potentially replace your phone system at the highest level of $22/user/ month? Pretty cool. For those of you that have been working in Google Apps for Business realm over the past several years, this is serious competition. The price point for Office 365 is good, and you get the added bonus of a license for Microsoft Office. This product is somewhat less beneficial if you have already made the investment into a license of Microsoft Office on your desktop or laptop. However, for new startups and for firms that have not been able to update their software, they get an updated version of Microsoft Office, with the added benefit of a Hosted Exchange email system at the same time. Office 365 is up and running and proving to be a worthy adversary in the battle between Microsoft and Google. Google better step up their game, or Google Apps for Business will soon be considered “the other” option for a hosted email solution. Categories: Cloud Technology | Tags: attorney, cloud, google, information technology, it, law, legal technology, Microsoft, Microsoft Office, mobile, Office 365, software, technology | Permalink. Using Dropbox for Your Client Documents? Encrypt it! I use Dropbox every day, and I love it! It’s a great way to store documents and have them accessible in multiple locations on multiple computers. However, while this convenience is great, security needs to be considered when using Dropbox for client documents. Dropbox files are not encrypted, so the security of your clients’ documents is in your hands. Encrypt your Dropbox! When I talk about encryption, I don’t want to lose all the non-techies. Basically, when a document is not encrypted the documents and sensitive client information is stored without anything other than a password. If it falls into the wrong hands, they can read it. Encrypted data is stored as ones and zeros so if your data is compromised, it can’t be read. You hold the only encryption key, and your data can only be unlocked and read by you. There are a number of Dropbox encryption tools on the market including True Crypt (www.truecrypt.org – one of the few options for the Windows XP users (Yikes!) out there, but that is another post), Box Cryptor (www.boxcryptor.com) and Viivo (www.viivo.com). Some are easier than others to install and use. My personal choice for Dropbox encryption is Viivo. 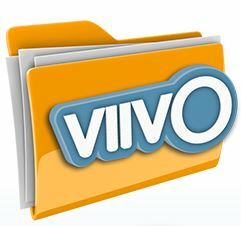 I like Viivo because it’s easy to install, easy to use and free. When you install the software, you follow the step-by-step directions, including setting an encryption password. 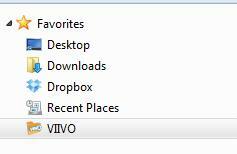 As part of the process, Viivo will ask you to relocate your Dropbox to the encrypted Viivo folder. By adding the additional step of encrypting Dropbox, you will be improving your firm’s security and protect your client data and confidential files. You will know that if there’s ever a breach in security at Dropbox, your data is protected. Dropbox is a powerful tool that can provide quick storage and improve the mobility of your practice, but take the extra step that will help protect you and your clients’ data. Encrypt! Categories: Cloud Technology | Tags: attorney, cloud, dropbox, information technology, lawyers, legal tech, legal technology, paperless, practice management systems, technology | Permalink. Two-Factor Authentication – What Is It And Do I Need It? In the age of technology, stolen identities, compromised credit cards and all things online, technology companies like Google, Facebook, Microsoft and others are trying to help us. These companies have come to recognize that they cannot force their users to use strong passwords and change them frequently. We also ask a lot of these companies, requiring them to keep our information safe while we are accessing their site from a tablet, a mobile phone, the in-law’s virus ridden computer and the firm’s VPN connection. Some of you have probably heard about the concept, but aren’t quite sure what it is and if you need it. In short, you need it – wherever you can get it. Two-factor authentication will (as Google describes it) “Help keep the bad guys out of your account by using both your password and your phone.” The process forces you to identify yourself by not only a username and password, but also something that is in your physical possession, like a cell phone (that is the two-factor part). To test the two factor authentication, I enabled it on my Google Apps for Business email. The initial setup for Google Apps for Business was not difficult. The first time I accessed my email on the web after I set it up, I logged in as normal, but a second window came up that was asking me for a Google Verification Code. A text was sent to my phone and I needed to enter in the verification code to continue to my email. Every 30-days, I am asked for a new code when I access my email on the web or from a new device. I have to say, it can sometimes be a pain, but if I can keep the “bad guys” out of my email account it is worth it. You will see more companies offering two-factor authentication coming down the pike, with Twitter already working on it and more companies getting ready to offer this option. The ability to verify your identity with a username and password, as well as something that you physically have in your possession is here to stay. Considering the possible consequences of a “hacked” account login or stolen credit card numbers, I propose that you enable two-factor authentication whenever possible and let the tech companies help you protect yourself. Categories: Cloud Technology | Tags: attorney, cloud, google, information technology, law, lawyers, legal, legal tech, legal technology, security | Permalink. Recently, I had the opportunity to attend a “Legal Geeks” meeting hosted by our local Bar Association, and our topic was blogging. While we drank beer and talked technology, I was surprised at how few attorneys are blogging. Many folks were not sure where to start and I wanted to provide a quick guideline. After personally setting up a blog, as well as helping clients with their efforts, I would recommend the book Blogging in One Hour for Lawyers by Ernie Svenson for anyone that wants to know more (available through the ABA and iTunes). Ernie makes the process very straightforward and is a great reference when setting up a blog. Unlike Ernie’s example, which uses TypePad.com, I used WordPress.com for my blog as well as the blogs of my clients. It is the most popular platform for blogs and for one main reason – WordPress is easy. Separate your blog from your website. You can link to it, but it should be separate from your law firm website. Use a name that is relevant to your practice or catchy. You can also back into a name by using Google’s keyword search tool and see what related words and phrases rank well in Google. Use domain forwarding within WordPress.com to forward your domain from WordPress.com to your existing domain if you register your domain at your existing registrar. Pick a Theme – The themes allow you to select the structure for your blog page. Choose a theme that can be customized to use your own colors, logo and pictures. Pick a theme in which you like the location of pictures and text of the blog because they (typically) cannot be changed. Purchase a theme or use a free theme on WordPress.com. If none of the existing themes work, run a Google search for WordPress themes and you will have many options to choose. Change themes if you do not like it. Themes can be changed easily and applied to your existing text and pictures. Use a great title for the blog – Many readers will decide to read your posting based on the title and the title is what shows up in RSS Feeds. Write on topics interesting to you – If they were interesting to you, they will be interesting to others as well. Write often – WordPress.com allows readers to subscribe to your blog. Give them something to read at least once a week – more if you can. Link it to your social media sites either automatically (through WordPress.com) or manually. WordPress.com has links to automatically promote your blog through LinkedIn, Twitter, Google+, Facebook, etc. Read other people’s blogs – Twitter is a great source for blog ideas and other experts in your practice area. Blogs are a great tool to show your expertise in an area, keep in touch with existing clients, and market to future clients. It will help you distinguish yourself from your competitors, and increase your visibility online through quality social media content and improved Google rankings. The positives definitely outweigh the negatives here, so take the time, set up a blog and write, write, write. Categories: General Technology | Tags: attorney, blog, blogging, cloud, information technology, keyword search tool, law, lawyers, legal, legal tech, legal technology, technology, wordpress | Permalink. As an attorney, if you have never attended the ABA TechShow in Chicago, it is worth the trip. With more than 50 educational sessions (many for CLE credit) and more than 100 vendors attending, it is a big bang for your buck to get up to speed on technology fast. Whether you would like to know more about hardware (from scanners big and small to the latest in off-cloud storage solutions), software (from legal-specific iPad apps to practice management systems, e-discovery, document assembly, and every type of cloud-based software), or advanced technology tips and tricks (from apps to sites to time saving tools), the ABA TechShow has something for everyone. Any attorney would benefit from a technology conference and exhibit. Besides earning most of your yearly CLE credit in one shot, you can develop a technology plan that can last for years. NC TechShow on November 1, 2013 – Cary, NC – Law Practice Management Section of the North Carolina Bar Association (NCBA) – More details to come soon. If your schedule is too packed right now, plan on attending next year and put one on your calendar now so you can schedule around it. The ABA TechShow next year is March 27-29, 2014 in Chicago. Mark your calendars now! Attend a legal technology conference and exhibit and get excited about technology that will save you and your firm time and money. You will find it is worth the trip. Categories: General Technology | Tags: attorney, information technology, law, lawyers, legal, legal tech, paperless, practice management systems, software | Permalink.